A prefect gift for the new children, a simple way for them to express their faith, comes with a 18in curb chain. 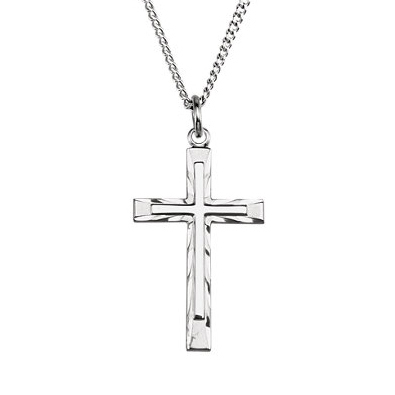 A great way to express your faith with this beautiful pendant, comes with a 18in curb chain. Available in three sizes 12mm, 14.75mm or 18mm. A great way to express your faith with this beautiful pendant, comes with a 24in curb chain. A great way to express your faith with this beautiful pendant, comes with a 24in curb chain. St. Christopher is the patron saint of athletes, porters, sailors, and travelers. 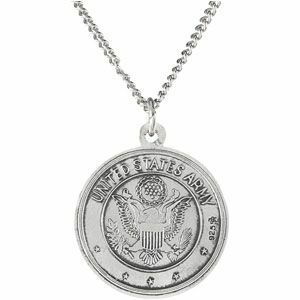 Show your support of our troops and our freedoms with this beautiful sterling silver pendant. Comes with 18in chain. A great way to express your faith with this beautiful pendant, includes a 18in curb chain. 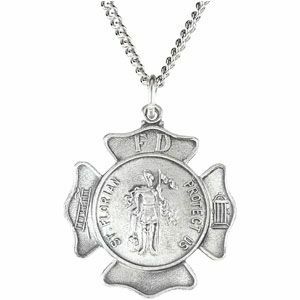 St. Florian is the patron saint of firefighters.